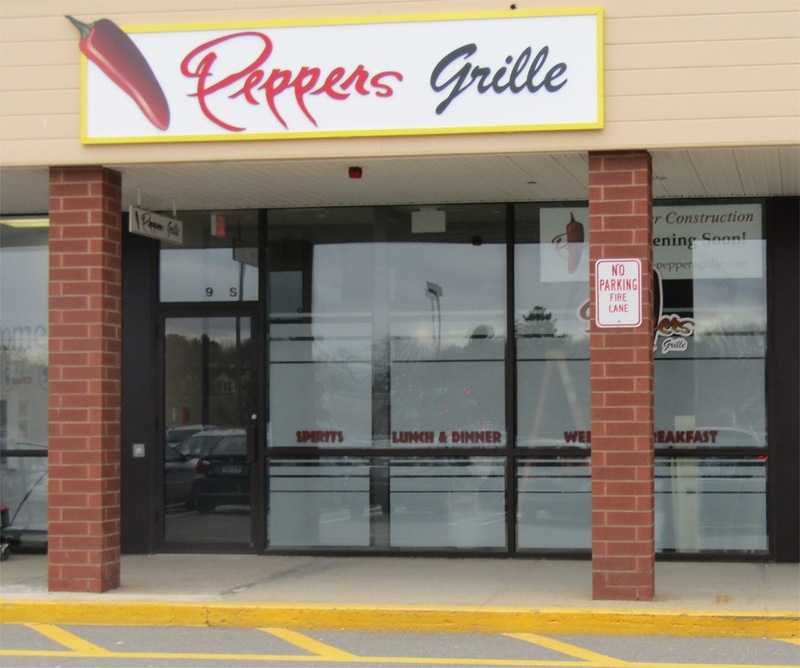 Peppers Grille has opened at 321 Great Road Road in the Great Road Shopping Center. The location is next to Hanscom Federal Credit Union and was the previous location of Sparta Restaurant. The restaurant will initially be open for dinner but expects to open for Lunch and Weekend Breakfast later this week. I recently spoke with the owner Jim Morris. Jim grew up in a close-knit Greek Family in Bedford and has always loved the town. About 10 years ago, he opened up Roasted Peppers in Maynard. He always had a dream to return to Bedford and open up a restaurant. Recently he got an offer to sell his restaurant in Maynard and he decided to move forward with his dream. This was the previous location of Sparta Restaurant. Upon finding the location in Bedford he decided to completely renovate the space. He wanted to make it a place to go for casual dining and families. The interior features led lightning for a more modern appearance. 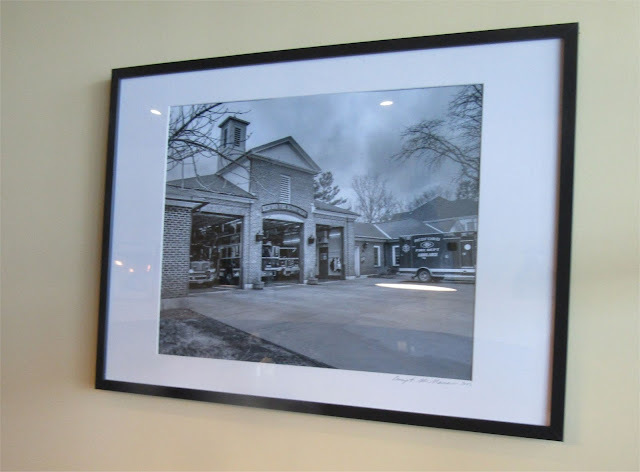 Jim really loves the small town aspect of Bedford, so he asked local artist Concepta MacNamara to take pictures all around Bedford to display in the restaurant. One of about a dozen recent photos of Bedford are on display. Along with the renovations, Jim also installed a Marsal's and Sons old world style pizza oven which cooks a pizza in just 3 minutes. Jim explained how the oven's design enables it to absorb moisture resulting in a crispier crust. 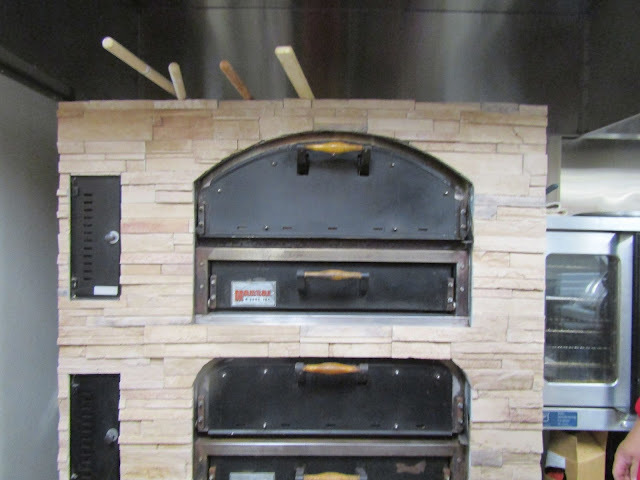 Jim customized the stonework on his WF Series Pizza oven. 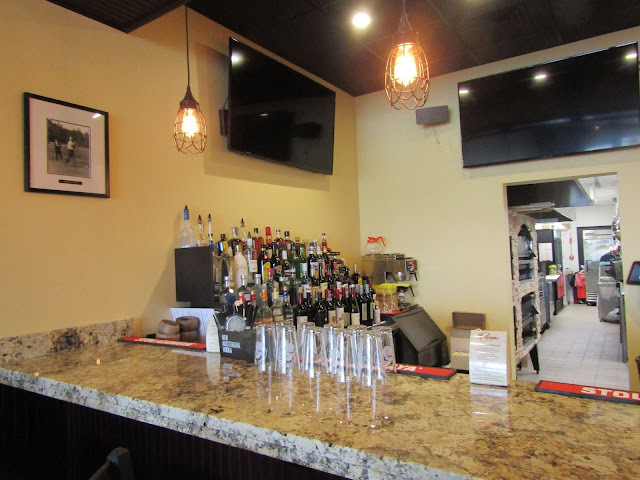 The lunch and dinner menu features brick Oven Pizza and Gourmet Sandwiches along with regular entrees. 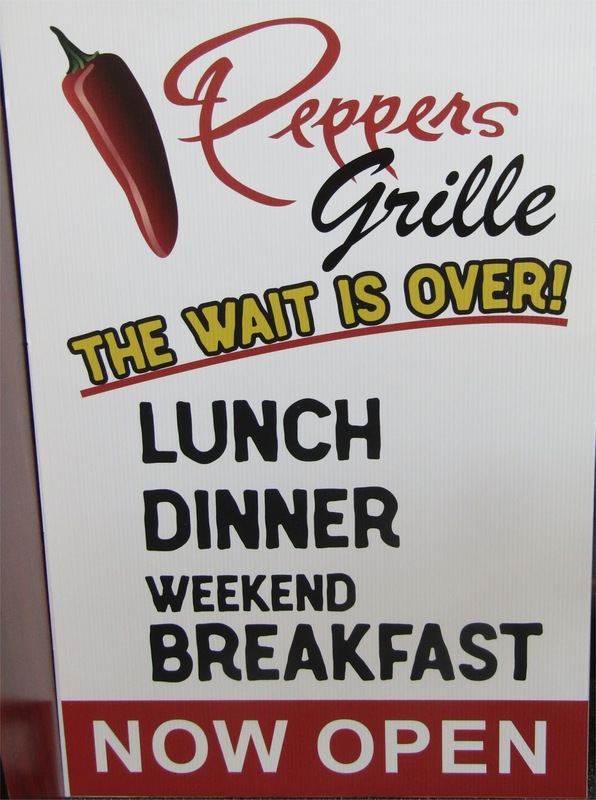 A full breakfast menu is available on the weekends until 1 pm and includes Pancakes, Belgian Waffles, Eggs, Omelettes, Homemade Home Fries as well as Breakfast Burgers, Pizzas and Wraps. 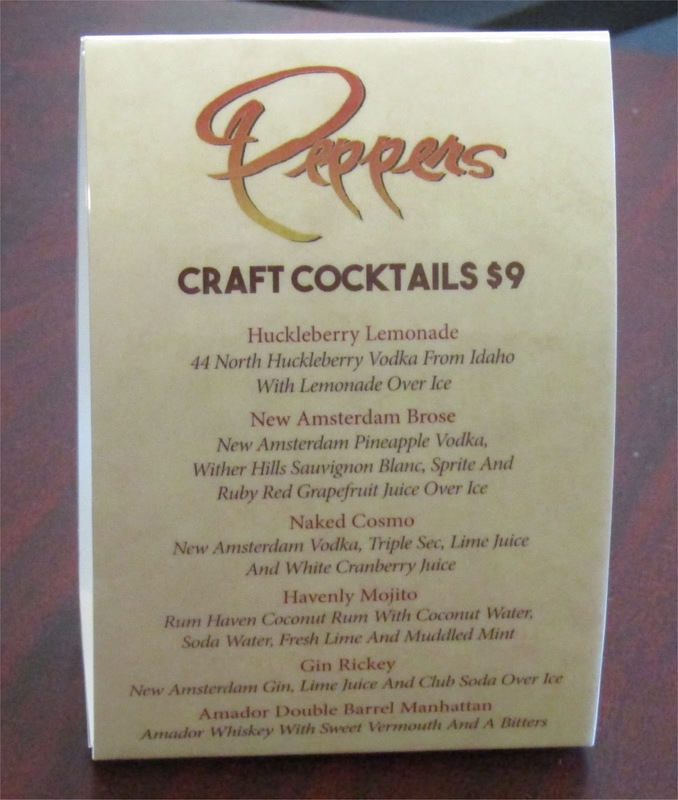 The restaurant has a full alcohol license and offers a wide selection of Craft Beer, Mixed Drinks and Wine. 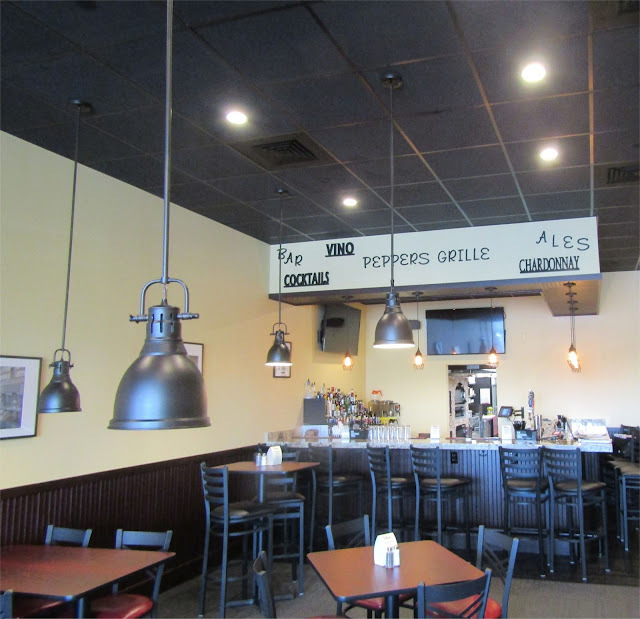 Peppers Grille includes a bar area with just under 10 bar seats. It's good to see this restaurant finally open. It should drive more business for the other stores in the Great Road Shopping. I expect it's full weekend breakfast will be popular.